Her YouTube channel attracts an average viewership of 2.65 million views per month. 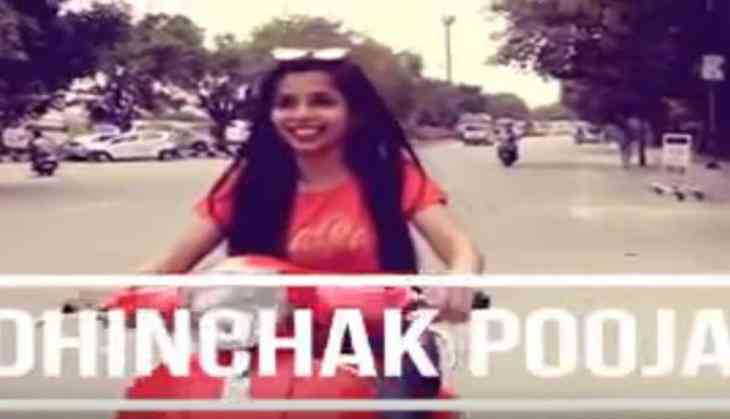 Online star, Dhinchak Pooja, is the latest viral sensation on Youtube and social media in India. After viral hits like ' Swag Wali Topi', ' Daaru', ' Selfie Maine Leli Aaj', she recently went live with 'Dilon Ka Shooter'. Dhinchak Pooja's YouTube channel currently receives an average of 2.65 million views per month. From her 12 videos, she has accumulated almost 29 million views. While in last 30 days alone, the views on her channel have shot up by 59 percent. In May alone, her videos chalked up to 16 million views, however in June they have reached 10 million views. While she has over 1,18,000 subscribers on YouTube and continues to add an average of 2,630 subscribers a day. In last 30 days, she has added 59,834 subscribers and registered a growth of 51 percent in subscribers. While three of her videos have crossed the hallowed million-views mark and continues to pull in over 6,00,000 views a day, her recent video " Dilon Ka Shooter" with 800,000 views, is on its way to cross the 1 million views mark soon. In terms of demography, majority of her viewers are male with 89.74 percent of the views while 10.12 percent of views are by women viewers. Vidooly uses the YouTube API to track Youtube channels and hence is able to estimate earnings. The approximate earnings are the following. Even though there is a massive viewership on her videos there are no ads running on her videos hence if she is pulling in any earnings at all then it's quite low due to low monetised impressions. Youtube is the most popular video sharing platform in the world with over 1.3 billion users. With over 300 million smartphone users in India, Youtube reaches over 180 million users in India alone. With the rise in affordable devices, faster data networks and a growing base of content creators, content creators have ample opportunities to reach out to wider audiences with their unique content.